The Whitehead and Hoag Company was the preeminent American manufacturer of advertising novelties. The company was founded in 1892 by Chester R. Hoag and Benjamin S. Whitehead. Initially, the company was known for the creation and manufacture of ribbon badges. In 1896, they introduced the pin back button for which they held the patent. W&H went on to become the world’s largest manufacturer of quality buttons and remained so for many years. The company also manufactured various types of medals in bronze, silver and gold, calendars, pocket knives, paperweights, letter openers , celluloid items and novelties of every sort. In 1892 , the main office and factory was located at Washington and Warren Streets. As the company continued to grow and expand , a new factory was built at 272 Sussex Avenue and First Street in 1903. The new factory had a complete printing and lithographing plant with over fifty modern presses, a complete art and photo engraving plant in which all the engraving sketches and plates were made, a complete button plant with the capacity of one million buttons a day, and a machinery plant where the company made all its own tools, dies and special machinery. Due to the immense popularity of their advertising novelties the company began to establish offices throughout the United States and in many foreign countries. The branch offices were given samples to show prospective clients . To assist the sales force, the Home Office provided them with a list of all conventions to be held in the branch office city. However, it was up to the branch office salesmen, who worked on commission, to contact all the local businesses, organizations and churches to solicit additional business. All the manufacturing was done in Newark until the factory closed in 1959. Not willing to lose a button order, the company maintained a strictly non-partisan stance. Small groups such as the Socialists, Communists and Prohibitionist could place their button orders as easily as the Democrats or Republicans could. To create an attractive and high quality product W&H would use the famed illustrators Maxfield Parrish and Norman Rockwell from time to time. They also had a great talent pool on staff. In 1919, the company experienced a significant reorganization and became a non-union shop. Prior to this, most of their items were marked with the union seal. 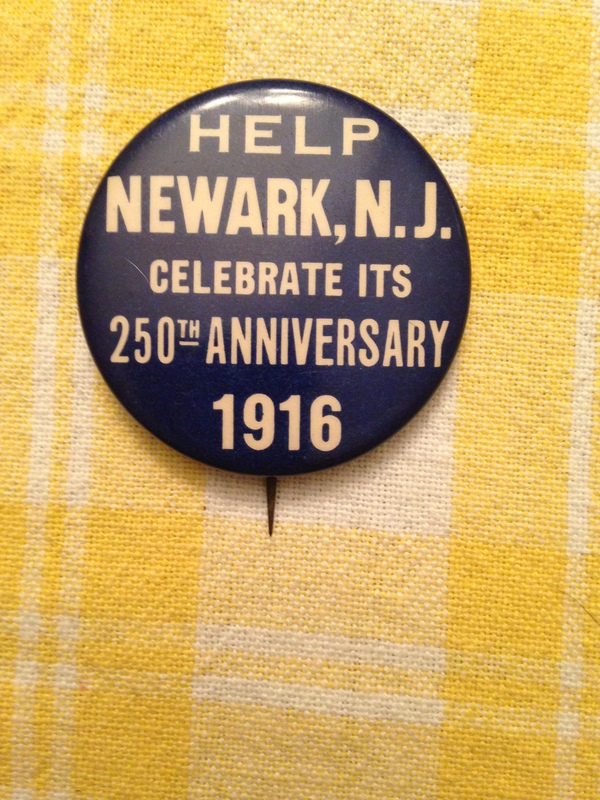 Although W&H was no longer a union shop they would still mark certain items to appear as if they were union made- especially political buttons. 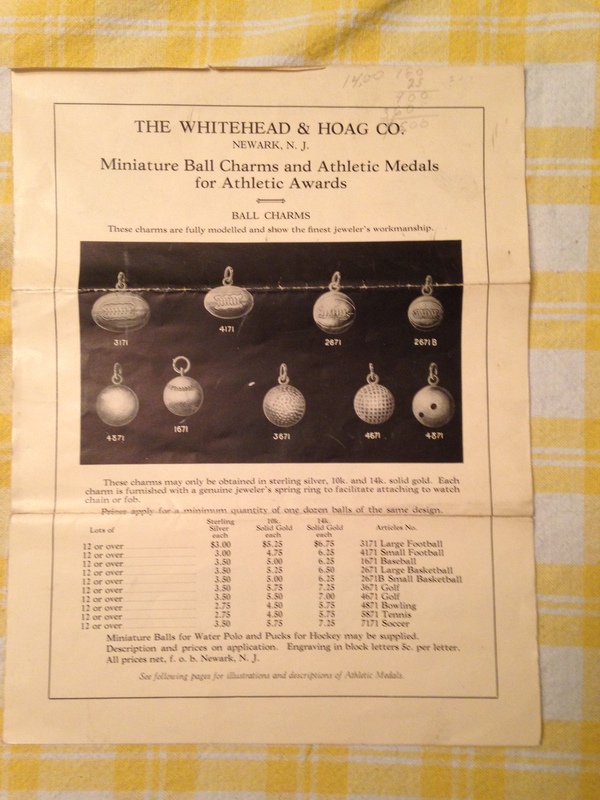 In 1959, Whitehead and Hoag was sold. The purchaser was Bastian Brothers of Rochester, New York, a long-time competitor of W&H. Because Bastian Brothers was a union shop it was often undersold by W & H. Not being able to compete with W&H’s prices they would subcontract some of their work to W&H and buy parts from them as well. When the opportunity came to purchase their competitor they did not hesitate. There are several reasons why W&H sold out to Bastian Brothers. In 1953, with the death of Phillip Hoag no member of the family was left on the board or in a policy making role. In addition, the company’s profitability would vary greatly making substantial money for a year or two and then operating at a loss for several years. Thirdly, was the company’s insistence on making top quality product and their refusal to advertise any other way but on their own product. In the early years, if a customer insisted that the W&H logo not appear on an item, the price was raised considerably. Maybe, in the final analysis,they failed to keep up and change with the times. The Newark factory was closed in May of 1959. Bastian Brothers continued to use the Whitehead and Hoag name finally phasing it out in 1964-1965. 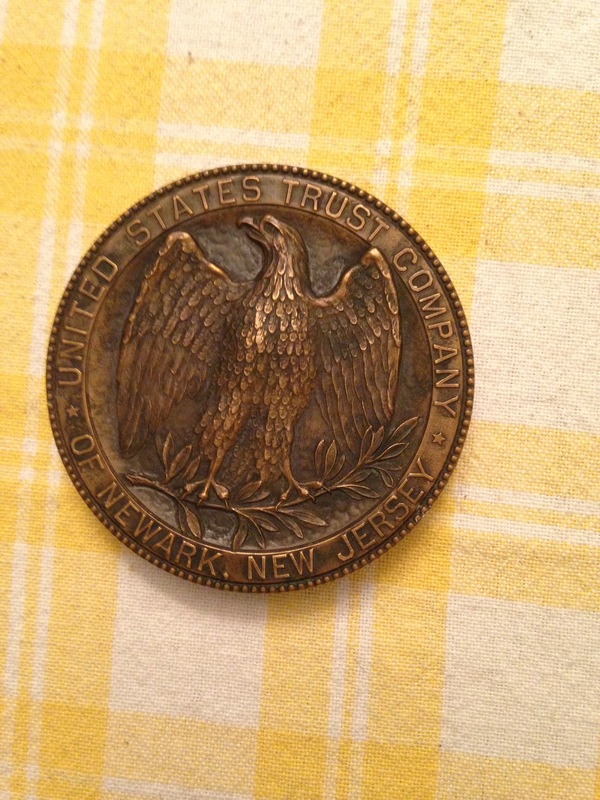 Included in this blog are a salesman’s sample case of medals and the companion brochure, a key fob with an engraving of the factory and a paperweight commemorating the 1927 opening of The United States Trust Company’s new building in Newark. Whitehead and Hoag items are avidly sought by collectors and the rarer objects are rather expensive. What information would you be looking for exactly? If you can be more specific, I’ll try to assist. I never heard back from you. Did you find an answer to your question? Hi ,I have found a few political campaign buttons need to know if they are original.How do I tell ? 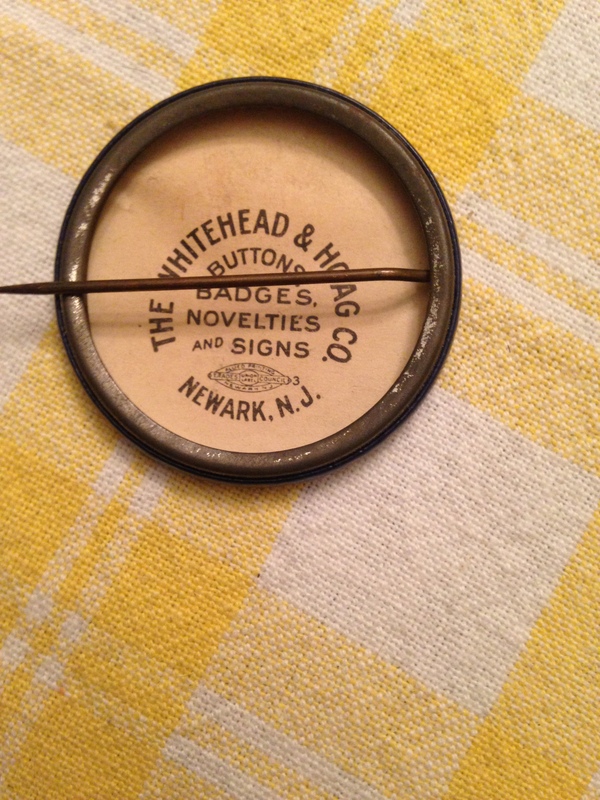 The back of the button , under the pin, will always say Whitehead and Hoag. Hi, do you know if the company archives or any of original designs survived? Sorry for the delay in responding I’ve been under the weather. My understanding from what I’ve read online, is that when they were bought out in 1959 by a competitor, all records were destroyed. I have no way to confirm that. I am sure some former employee out there may know the actual truth. What is certain is that the ranks of former employees are probably quite thin by now. Their former factory is about a 1/2 mile from my house.Wish I could be of more assistance. I was researching an item that I purchased at a shop in Tombstone, AZ in 2001. The item is a brass ashtray, 4 inches diameter, advertised with El Paso Coffin Company. 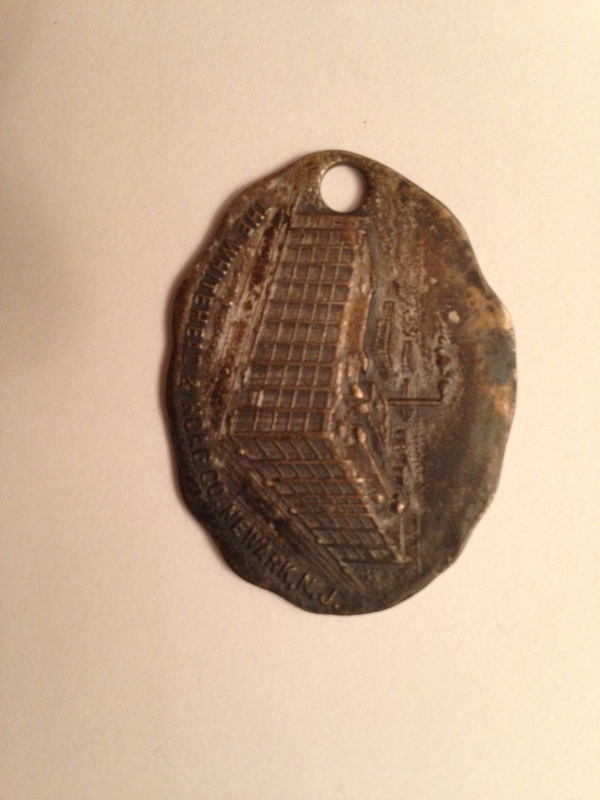 Under the ashtray, it is stamped (engraved) “The Whitehead & Hoag Co * Newark, NJ”, which lead me to your website. The El Paso Coffin Company no longer exist and I cannot find any information on the business. I am trying to date the ashtray. Do you have any information that you can share with me? I get many requests asking for more information on Whitehead and Hoag. Unfortunately, there is no definitive source of information on the company and it’s products. In 1959, when it was acquired by a competitor the purchaser allegedly ordered all W&H archives destroyed. I think Whitehead and Hoag certainly deserves a book. Benjamin Whitehead was my greatgrandfather so I am really enjoying reading everything I can find. I am so thrilled that a descendant of Benjamin Whitehead has posted on my blog. 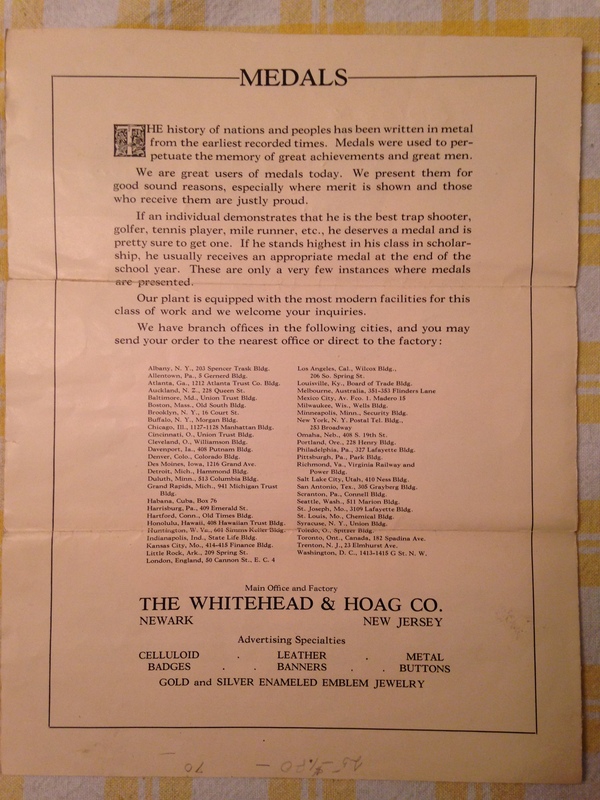 Whitehead & Hoag was the premier manufacturer of advertising novelties and they have never been surpassed or equaled! They really deserve a profusely illustrated coffee table book. If you are willing,I would like to correspond with you further. My email is johnlipari@aol.com. Hope to hear from you. Hi Sheri – my great grandfather was Walter C. Heath who was president of W&H from about 1923 until sometime in the 1940’s. I too would love to know more about the company. The only things I know about the company I have found online. My father and his three sisters have all passed away so I have no one left on my side of the family to ask about the company. Your family must have taken over the company when my great grandfather sold the business. This is a good site to learn things because John Lipari is very knowledgeable about all things that happened in Newark. Sheri,thank you for your kind words. I have a Whitehead and Hoag 1732-1932 commemorative coin. It commemorates the 200th anniversary of Salisbury Maryland in August of 1932. Looked everywhere and can’t find one like it. It says Whitehead-Hoag on the bottom of the coin. Any info would be helpful. Although the Whitehead & Hoag’s former plant is just blocks from my home, little else remains of the company’s presence here. Most of what I’ve posted on W&H has been gleaned from the internet. That having been said, there is a large field of W&H collectors out there. If you are curious about value go to eBay and type in Whitehead and Hoag. I guarantee you’ll learn a lot about their product line and current prices. I hope this helps. I have a Whitehead & Hoag pin marked “Aircraft Service” on the front and was hoping you might know more about it? From my own research, I can tell it was made sometime between 1917-1919 and is marked Standard Aero on the reverse. There is also a four digit number stamped into it, which looks like a serial number. The words “Not Transferable” are also marked on the back. My theory is that these pins were issued by Standard Aero to their employees, and used for identification purposes to gain access to facilities. I have a photo of it if that will help? So many people have asked me to assist in identifying objects from Whitehead and Hoag. Sadly, I do not possess that information. However, when time allows I am going to try and find more and specific information. Your post was in my spam folder for reasons unknown. Feel free to send the photo. Whitehead & Hoag did make employee badges. Unfortunately, I believe their records were destroyed when they were taken over and shut down by Bastian Brothers in 1959. It appears Whitehead & Hoag made these pins for companies that belonged to the Manufacturers Aircraft Association from 1917-1919. I have seen four other examples of these pins. These companies were key in supplying the U.S.government with aircraft and aircraft engines in direct support of the war in Europe. The Wright University has an impressive photo archive of the Dayton Wright Aircraft Company, which is was a member of the MAA. I’ve scoured their collection, which has numerous photo’s of factory workers, and only two show employees wearing these pins. Both photos are of salaried employees; one of company engineers and the other of company executives, none of the photos of the hourly employees include the pins. I’m starting to think they were for management only. We have found an old screw-on backed pin with the IBEW logo on it; the reverse has the Whitehead & Hoag Co. logo on it and appears to be brass. The front of the pin is a probably not as distinct as it once was. Is this worth anything? Whitehead and Hoag items are collectable. I would suggest you look on ebay under Whitehead & Hoag. You should be able to get a good idea what identical/similar items are going for. I hope this helps. 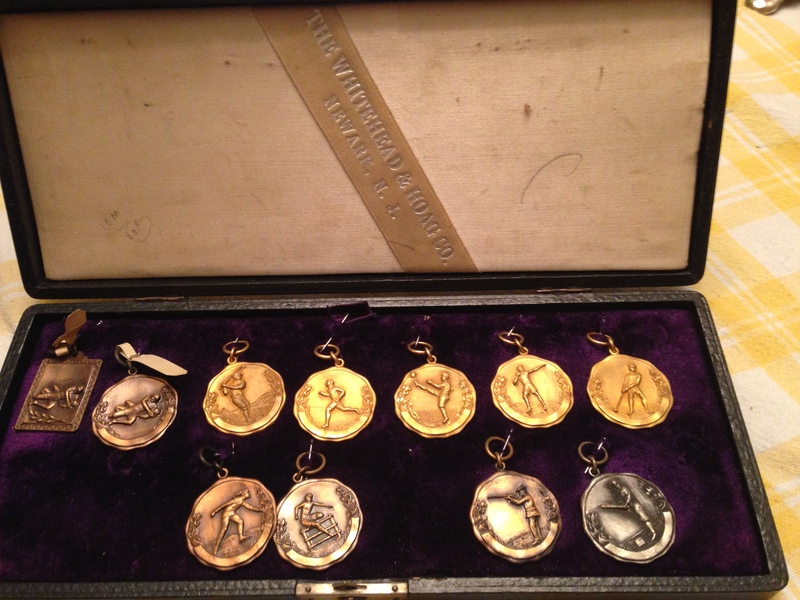 Hello… I have been pursuing and collecting “lucky” tokens/coins/fob’s from the Pope Motorcycle Co from 1913. These coins were made by W&H so I’m researching the company now, finding this blog. Ironically as I learn about Benjamin Whitehead, I too am a classically trained printer, and I am from Philadelphia (where his material was displayed at the Centennial)… and I can’t help but be intrigued by these parallels. These Pope motorcycle coins or fob’s or whatever they are pop up in on-line auctions periodically, and I’d love to know what the quantity of production was. Pope Motor Cycles was among the very first motorcycle companies, established within a year or so of the Harley Davidson and Indian Motorcycle Company’s. Pope Motorcycles was short lived and out of business by the 20’s. Such a shame all the W&H dies and records were lost… it would make for an interesting historical project. Whitehead & Hoag deserve a book. I may attempt that after I retire. I have written a couple books on vintage guitars, and use a publisher that specializes in both new authors, AND collectibles and antiques. Contact me if you’d like their info. They are based outside of Phila. Thanks, that’s very interesting. Please send me the information. Much appreciated. The company is called Schiffer Publishing, or Schiffer Books. Check out their website… they walk you through the whole process of assembling a book. They specialize in “coffee table” style books. Both of mine came out great! As mentioned they really do a lot of “collectibles” titles. Good luck! Abraham Lincoln Gettysburg Commemorative Medal B L Pratt. Good day. Did this company produce this medal. and if they did do you know what year it was produced. No matter what type of object Whitehead and Hoag always had their name, initials or both on it. Check to see if their name is on the medal in some form. If it is, let me know and we’ll try to figure the rest out. Hello, Can someone give me information when the Wilbur’s Cocoa metal pin was made? Also what value is known? The pin is Whitehead and Hoag co. 3 dates are on the back July 17 1894 and April 14, 1896 and July 21 , 1896 . Could these be the dates when made for Wilbur’s Cocoa? To the best of my knowledge those dates are patent dates for the various features of the pin. They do not pertain to the item being advertised. As far as I know, there is no definitive book on Whitehead and Hoag. Maybe when I retire. It would certainly be a great coffee table book. I have a plaque with George Washington from 1928. He is standing holding a cane in right hand with a coat over his right arm.His name on a podium.Also says 39th Annual Convention Supreme Council. M-O-V-P-E-R- , Richmond,VA. Very good condition. What is it? What does it stand for. I am a metal detectorist and I found a large brass round AAA Automobile Club of Minneapolis item. I’m trying to figure out how old it is. It says “FIFTY DOLLARS REWARD for arrest and conviction of any person stealing this automobile” I guess the automobile has been stolen for I only found this item. On the back it says”THE WHITEHEAD & HOAC CO. NEWARK, N.J. ” I assume it is between 1919 and 1940’s. Was wondering in your research you came across anything like this. It has ceramic or porcelain white around the letters. Some work was required in making it. I found a tag with a return to address on one side and us bank on the other, is this worth anything? There’s a whole section on Ebay devoted to W&H. You would be able to do some research there. Please do not discard it! ← Newark Automobile Show at the Sussex Avenue Armory.